Companies House is the UK's database for keeping records of every incorporated business and its directors. This module imports business and contact information directly from Companies House saving you time from manual entry and reducing typing errors. 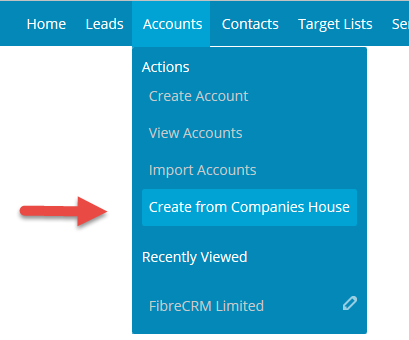 FibreCRM's Companies House Importer speeds up the process of entering Accounts and Contacts into your CRM. This module adds a new menu item to Accounts called "Create from Companies House". All you have to do it enter a Company Registration Number and click Import. This module uses the UK Government Companies House API to pull data directly from Companies House. In seconds you can import Account and Contact data directly from Companies House eliminating the time consuming and error prone manual data entry. Please see the documentation section to find out how to obtain a free API key from Companies House. If you use this module in conjunction with FibreCRM's Quick2List module the data not only loads into the Accounts and Contacts module but also you can keep you Target Lists automatically maintained. For example, you might want to keep a Target List of all businesses with SIC Code '1234'. 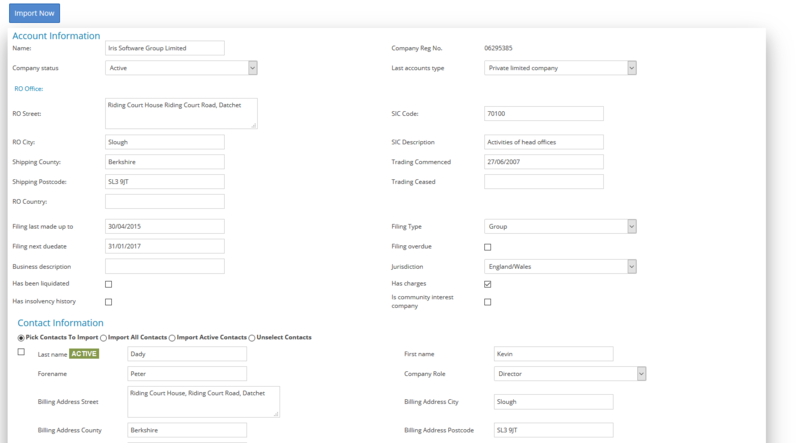 Quick2List will automatically add any Accounts imported from Companies House with a matching SIC Code. "This is a great plugin for SuiteCRM! Fast and simple to use."